Open Up Resources just announced a partnership with MVP to provide the non-profit's first free high school math curriculum. Open Up Resources and MVP will work together to provide two high school mathematics programs: an integrated high school mathematics curriculum and a traditional high school mathematics curriculum. The curriculum will be available for 2019–20 adoption. Check out the details here. CCSU is hosting a SCI CAMP which is FREE and is open to all STEM educators. We would love to see you there to discuss all of the great ideas you have been doing with your kids as well as getting new ideas from other teachers as they implement NGSS. Light refreshments will be available too. Please see the flyer for more information and registration. 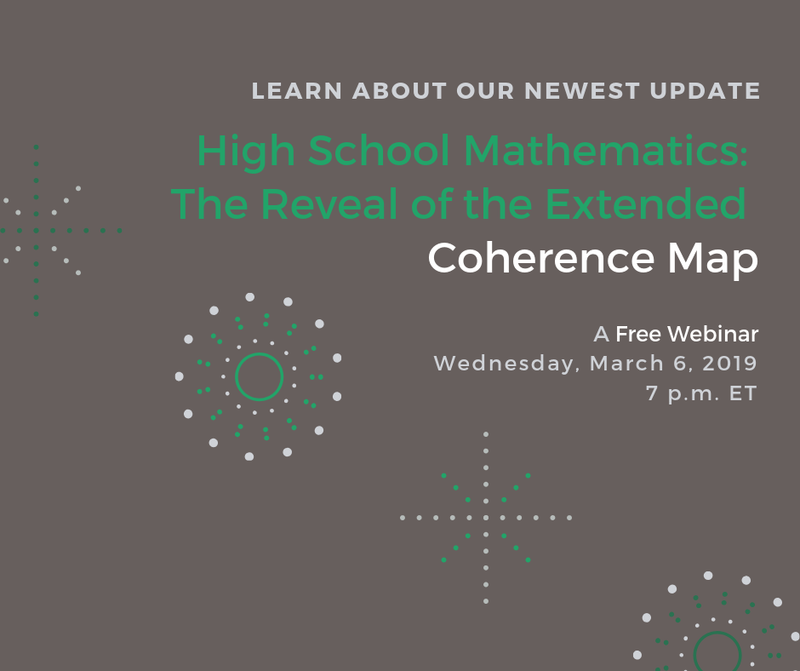 The Coherence Map allows educators to quickly understand how math standards connect and build on one another, which has made it one of the most popular tools on Achieve the Core. Previously available for K-8, the map now features mathematical connections through high school. Be the first to see the newly extended Coherence Map! The webinar will introduce the structure of the high school section, point out the new high school-specific features, and share some of the embedded resources. Enhance your pedagogy, deepen your content knowledge and strengthen your mastery of Texas Instruments (TI) technology at a Teachers Teaching with Technology™ (T³™) professional development summer workshop. Take advantage of team discounts and special pricing on TI technology by registering now for a summer workshop near you. Participation may qualify for school or district Continuing Education Units. For access to the secured materials, please email Jennifer Michalek at Jennifer.michalek@ct.gov. Join us for this one-day workshop and take an initial dive into exploring productive struggle. Designed to begin the exploration of productive struggle through the lens of mathematics, the workshop supports the learning of teachers, coaches, and school- and district-based administrators. Though connected, each session addresses specific questions regarding the story of productive struggle in a mathematics classroom. Why is productive struggle important to students' mathematics learning? Special room rate available at Crowne Plaza Crystal City-Washington, D.C. for workshop attendees if you reserve your room by March 11. Manage your email preferences or unsubscribe from TI emails. The platform bar is a trademark of Texas Instruments. © Copyright 2019 Texas Instruments Incorporated. All rights reserved. To ensure delivery to your inbox, please add ti-enews@ti-enews-education.ti.com to your address book or safe sender list and ask your email administrator to make sure it’s not blocked. Was this email forwarded to you? Sign up to receive our future emails. Math contest event invitation for your followers! "Need an idea for engaging your students in math practice? 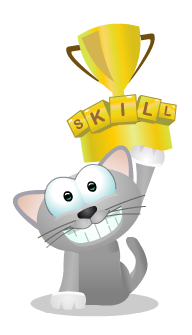 Try out the Arcademics Cup multiplication contest. No cost, fun prizes! Starts Feb 7. Registration info here: www.arcademics.com/cup"
Arcademics.com is the leader in online multiplayer edu-gaming, with 2M daily game plays and 50M daily problems answered. Students play while learning and teachers analyze student data trends.